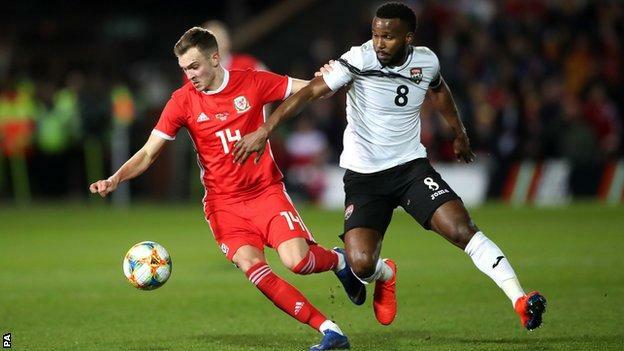 Ben Woodburn’s added-time winner saved Wales’ blushes as they marked the return of international football to Wrexham with an unconvincing friendly win over Trinidad and Tobago. 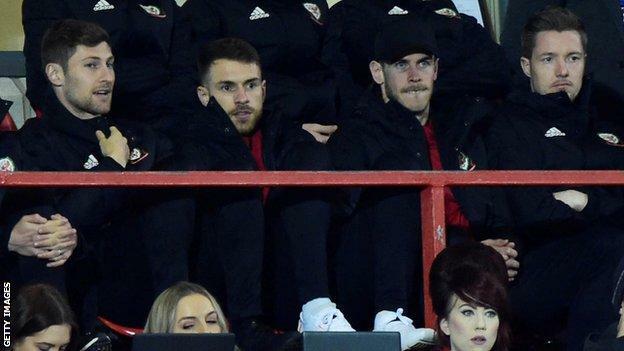 In preparation for Sunday’s opening Euro 2020 qualifier against Slovakia, manager Ryan Giggs rested almost his entire first team as Wales played in the north for the first time since 2008. Things almost got embarrassing early in the second half, as Trinidad and Tobago’s Aubrey David had a shot cleared off the line by Chris Gunter. But two minutes into injury-time, Wales debutant Will Vaulks’ floated cross to the back post was chested in from close range by Woodburn. It was a late reprieve for Wales, for whom very few will have furthered their case for selection for Sunday’s qualifier against Slovakia at Cardiff City Stadium. And while Giggs may have be frustrated with elements of his team’s display, the late winner means his record now reads as four wins, one draw and five defeats from his 10 matches in charge of Wales. The Racecourse is the oldest existing stadium to stage international football – having hosted Wales’ first home match in March 1877 – and there was some excitement in Wrexham before the team’s return. There were a few grumbles among the sell-out crowd and no wonder – north Walian supporters travel in their thousands to watch Wales in Cardiff and abroad, so they will have justifiably expected to see at least a few of the leading stars on show. There was an improvement after the interval as Ryan Hedges, one of the game’s very few bright sparks, crossed well for George Thomas, who saw his headed goal disallowed for offside. Then with the clock turning red – and Wales bracing themselves for another unimpressive friendly result after November’s defeat in Albania – Woodburn timed his run at the back post to bundle the ball into the net and prompt roars of relief from the home fans. This was Wales’ first match at the Racecourse Ground since a 3-0 victory over Norway in February 2008 under John Toshack. They are now unbeaten in their past five matches in Wrexham (four wins, one draw). This was Ryan Giggs’ second victory on home soil since he took over as Wales boss, in what was his fourth such match in charge, stopping a run of back-to-back defeats. Of players to start the match for both sides, only Trinidad and Tobago’s Levi Garcia maintained a 100% passing accuracy rate, completing each of his 16 passes before being substituted in the 60th minute. Ben Woodburn’s winner was his second goal for Wales, with both coming in 1-0 victories at home (he also scored in a 1-0 win over Austria in September 2017).